Buying a large farm in Italy can be expensive, but offering agritourism can certainly help to bring in some extra money. Agritourism, or “agriturismo” in Italian, is a farm/holiday business. They are working farms that the owners have decided to use partially for holiday lets. Guest rooms are usually in the farmhouse or a converted farm building close by. Many of them are managed by the farmer’s wife and daughters, while the men of the family are busy working on the land (but you can do your own thing!). The types of farms can vary, but many have olive groves or vineyards, with fruit trees and vegetable gardens. To be registered as agritourism you need be a farmer cultivating the land, doing forestry or animal husbandry. Agritourism has become increasingly popular in Italy with 22,661 farms registered to provide accommodation in 2016. This is 423 more than the previous year, with a total of 1,275 new farms becoming licensed for agritourism during 2016. Many regions are encouraging agritourism businesses to start up and last year alone 39 more municipalities registered agritourism farms. The types of farms vary from the very rustic to luxury accommodation in vineyard estates. Even the rich and famous are trying it, including Sting, who rents out accommodation on his working farm, Palagio in Tuscany. Over 8,000 farms provide both accommodation and food. You may choose to offer just breakfast, or breakfast and dinner, featuring local produce such as eggs, vegetables, meat and cheese with wine and olive oil from your own farm. Some of the best meals cooked in Italy are the traditional recipes from farmhouse kitchens. If you are a keen cook you might decide to also offer cookery classes. Even simple pasta- and pizza-making can go down well with family groups. At certain times of the year you could even invite your guests to help with picking grapes, olives, fruit and vegetables or just collecting the eggs from the chickens. Organised trips to taste typical local products in the area, such as cheese and wine, also goes down well. It is the authentic farm experiences that really stick in the memories of holiday guests. Like eating eggs you collected from the hens that morning, or picking fresh herbs for dinner. Over 10,000 farms offer extra activities, often linked to the territory in which they are located. They may introduce guests to local music, art, traditions and festivals or offer activities such as cycling, horse riding, hiking, quad biking and painting. They give tourists an authentic Italian experience, while enhancing the cultural heritage of the region too. Even on an autumn break guests can go on walks and bicycle rides together, looking for mushrooms, autumn leaves, pine cones and chestnuts. 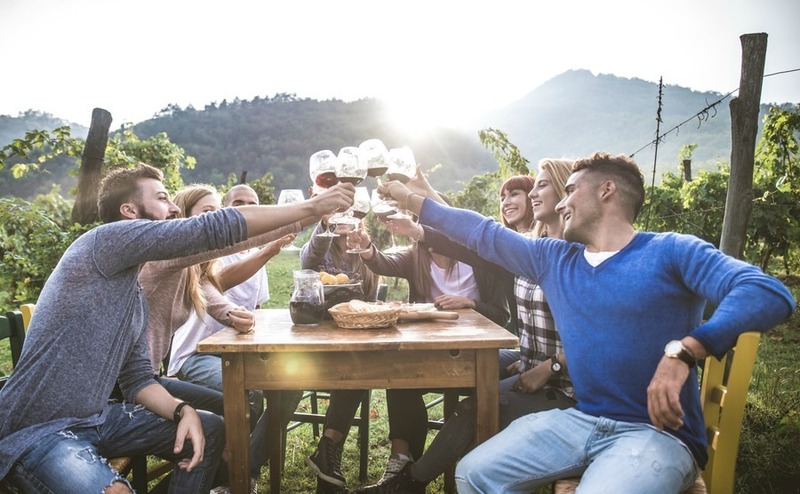 Agritourism holidays are particularly popular with families wanting to enjoy outdoor activities together, away from technology and work, swapping schools and offices for countryside and animals. Even on an autumn break they can go on walks and bicycle rides together, looking for mushrooms, autumn leaves, pine cones and chestnuts. Most people hire a car and explore the villages, markets and food fairs, such as the International Fair of White Truffles in Alba. 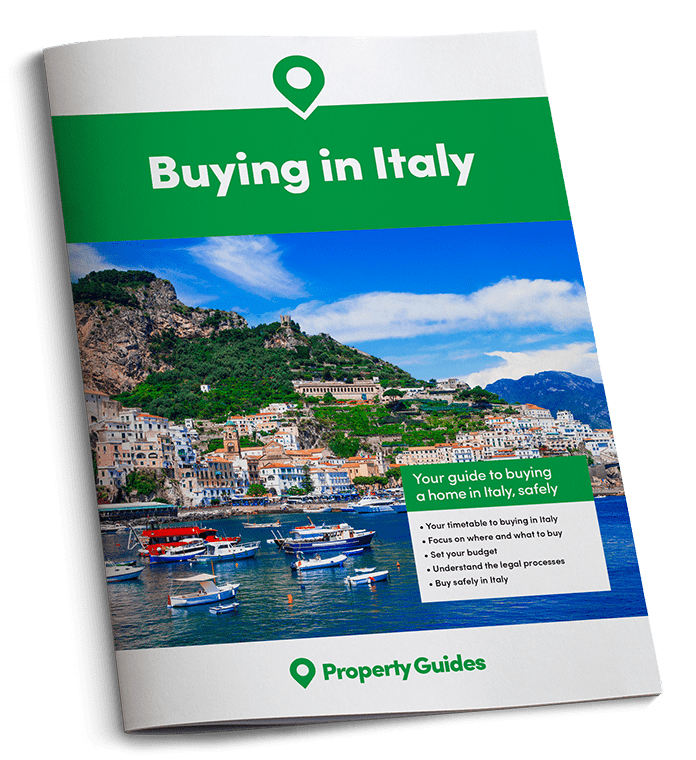 If you are ready to buy a home there, Italy Property Guide will be among the estate agents, currency experts and lawyers exhibiting at Your Overseas Home. The next event is at Epsom Racecourse on Saturday 18th November 2017 and various events in 2018. See if you are eligible for free tickets. Nearly 60% of agritourism farms with accommodation are located in the central and southern regions and the islands. Over 56% of those also offer food and 59% organise tastings of typical local food and wine. To start a new business in these areas you need to check out what others are offering and make sure your own property has rustic charm and traditional Italian features that will attract guests. See if the area has any nice markets, festivals and wine cellars that your guests could visit. The accommodation should have plenty of guest parking, as this type of tourist often likes to have a car to go out and explore the countryside and villages. Bicycle hire can also be popular. Tuscany is a popular region for tourists looking for agritourism and there are already over 4,500 properties offering this type of accommodation in the region. So, if you choose to buy a property here it must stand out from the rest. The province of Bolzano also has over 3,000 agritourism farms and some great hiking. 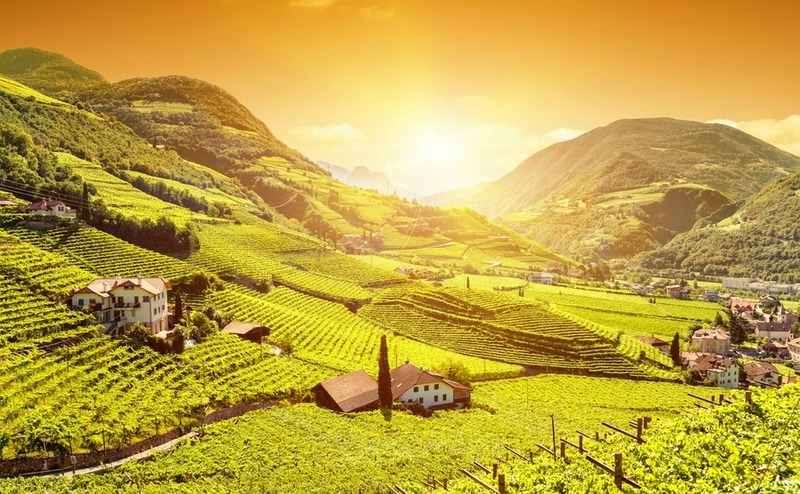 Farms in the hills and mountains of Italy make up 84% of agritourism holidays on offer, but there has been a significant increase on the islands and in southern regions too. The masserie (fortified farm houses) of Puglia are becoming particularly popular, and often offer luxury accommodation in a relaxed farm setting with excellent food from the farm. Learning a few negotiating tricks could bring your ideal agritourism property in touch with your budget. Read our guide: How to Negotiate Abroad, packed with insider tips and strategies to get your perfect home for a fair price. To start an agritourism farm requires authorisation issued by your local town, but the procedures and documents can vary from region to region. There are various steps to go through, just like in the UK, such as registering for VAT and opening a Tax account. You will usually need to register with the Chamber of Commerce as a rural tourism operator, get permission from the Mayor and apply to install road signs, plus approval from the fire department and health and safety. 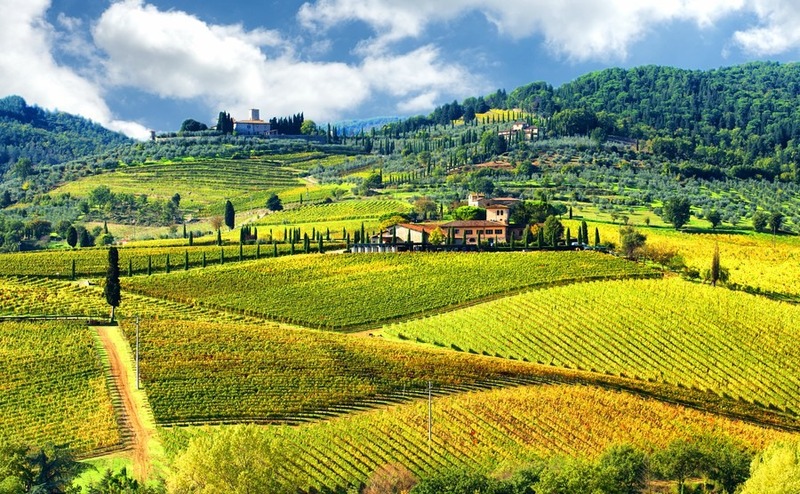 If you are planning to buy an Italian farm, a property with agritourism potential can certainly help boost your income. Check out how many agritourism farms are in the area, what they are offering and how full their rental calendars are. Consider whether your property has the character features tourists love and a location that offers extra interests in the surrounding area. Walking trails, a National Park, wineries, pretty villages, restaurants, markets and good cycling roads will all bring in the business. Check out this agritourismo farm, for example, for sale in Tuscany or this eight-bedroom farmhouse near Florence, already run as an “agriturismo” and for sale at €870,000.